On the Saturday after Thanksgiving we brewed a douple IPA kit called Surly Furious. 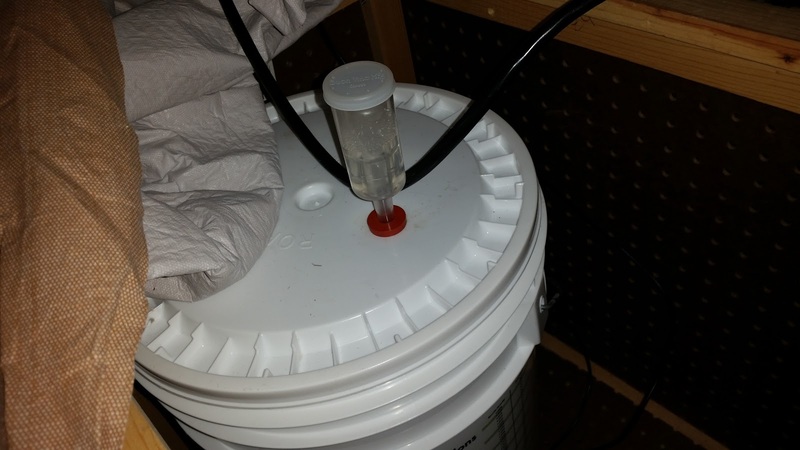 I plopped the fermentation bucket down in my dingy basement and left it alone until yesterday. However, while sitting at work yesterday I realized that there was no way the temperature in the basement was warm enough for the yeast to be doing it's thing so I decided that as soon as I got home I'd put toegther some sort of fermentation chamber on the fly just to get through this beer. 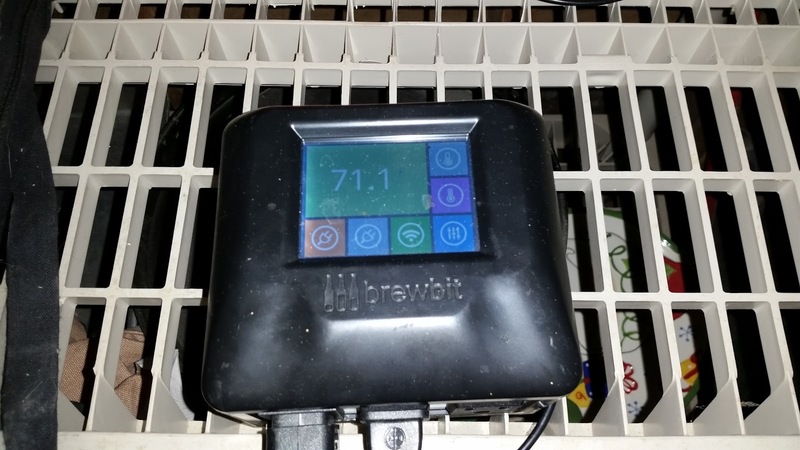 A couple years ago I backed a kickstarter for the BrewBit (note the website is outdated and I don't think it is really for sale anymore). It's a cool digital temperature controller with a touch screen and a web interface. However, I'd never gotten around to actually using it for anything other than a over-qualified beer fridge thermometer. First world problem of the utmost degree. Having the brewbit on hand made the process vastly easier and really makes a lie of the claim that this is a poor mans fermentation chamber. That gadget was expensive. But the rest of this "build", and I use that term very loosely, is as poor as it gets. I didn't have any scrap wood in the garage at all but I did have an old crate-ish box I'd made for my daughters science experiment as an incubation chamber before so I used that as the basis. I then took an old electric space heater I keep in my bathroom (which gets inordinately cold in the winter) and sacrificed my tush comfort to provide a heat source for the beer. Finally I grabbed an old painting drop cloth and draped it over the box to hold in the heat. That's it. The whole thing. 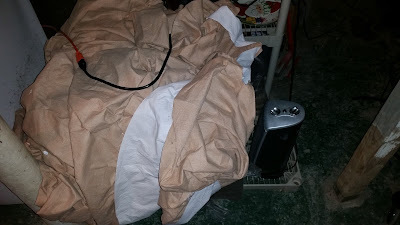 You can see the heater on the right and the drop cloth clumped on the top. Looks pretty damn shabby. 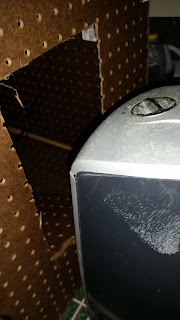 Here is a close up of the heater "vented" into the box. The box is kind of weird, it's made out of peg board because it needed to allow airflow when it was an incubation chamber. The big hole wasn't there when I started but I was worried the heater would over-heat the pegboard so I cut out the hole with a utility knife to let the hot air enter. Inside the box, on the far side is the bucket. It's about a foot from the heater. 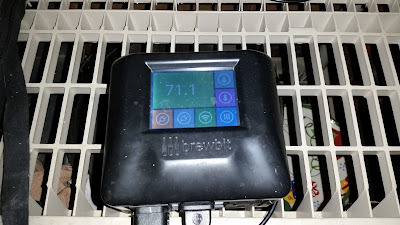 The temperature probe is on the far side of the bucket so that the air in the box really needs to get into the 70s before the BrewBit can turn off the heater. The basement temperature was down near 60 when I first set this all up and the BrewBit turned on the heater about a minute after I set it up but then, as the temp got close to 68 in the box the surge protector popped and the temperature fell. I didn't realize it had popped until about 20 minutes later when I went to check on things. To alleviate that problem I ended up running an extension cord from the brew bit upstairs and taking the surge protector out of the loop. I didn't want to plug the brew bit in directly to the wall in the basement because if it popped the circuit breaker I didn't want our deep freezer to shut off. I remembered this morning that from the BrewBit website I could view the temperature activity. 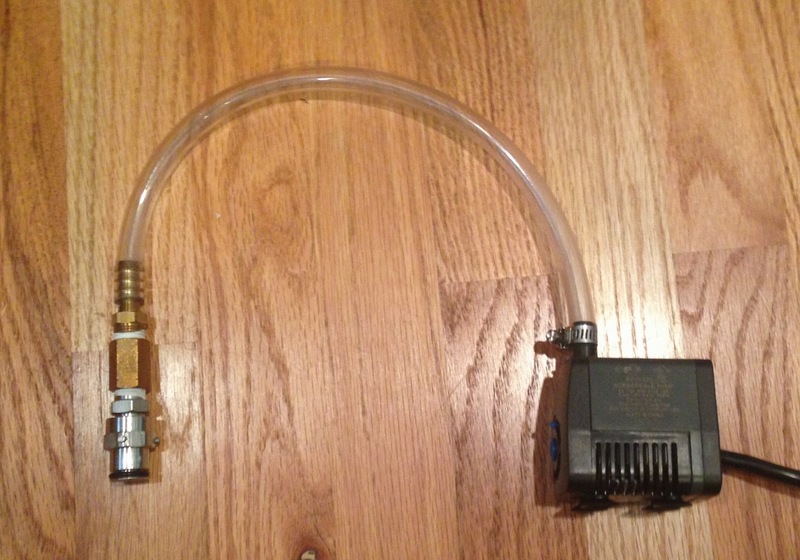 Here is a sample of the variation where the BrewBit is aiming to keep the temperature in the box at 71F. As you can see it's doing a pretty good job. It was on a one minute cycle but this morning I changed it to a 3 minute cycle (which was the default setting before I changed it). I'll monitor it during the day but I think I'll be happy. In the photo above you can see the bucket in the chamber. The black thing is the power cord for the BrewBit. You can't even see the temperature controller wire at all. But if you look closely you can see bubbles in the vapor lock! 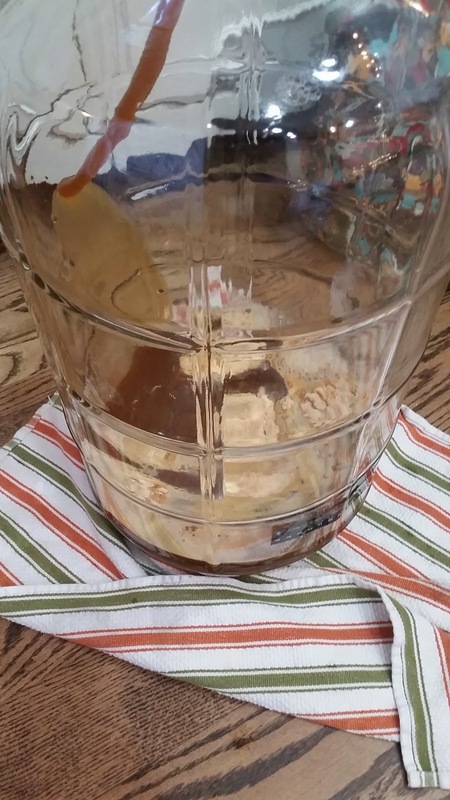 Here is a very crappy and short video of the fermentation in process. Once this beer is in the keg I'll build a real fermentation chamber that is both more efficient and which will both heat and cool depending on the current conditions. The brew life has been pretty slow lately and thus so has this blog. I doubt it is going to speed up soon but you never know - with warmer weather may come more brewing. Sometime in the last quarter of last year I bought the Midwest Supplies extract kit for "Chocolate Covered Beavr Nutz" and a couple jars of peanut butter powder (the kit doesn't include the peanut butter). Then the kit and powder sat around in my garage until early last month where we finally busted out the equipment and brewed. The recipe was pretty simple. Basically you make the beer like any extract kit but when you go to secondary just add the peanut butter powder. Then, a few days later you add the cocoa nibs. After that let it ferment for another week or so and voila' you're done. I however let it sit in secondary for a few weeks longer than called for because I was being lazy about the time to prep the fridge for the keg. It had been keg-less for so long I had put shelves back in it and the shelves all contained store bought beer. Thankfully, kickball season started so the beer bottles disappeared and I finally found the motivation to fully clean the keg lines and get this beer in on tap about 10 days ago. My garage is a jam packed mess. Interestingly when I brought the beer up from the basement and into the warm garage it almost instantly started to bubble in the airlock. 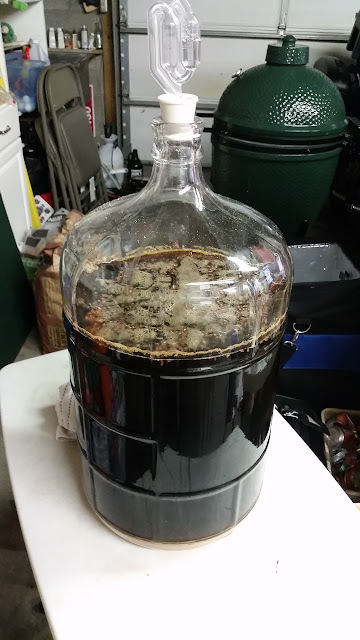 The yeast had been re-awoken and it started to go crazy so I left the beer sitting in the carboy in the garage for a few hours. Eventually, however, I got it in the keg and into the fridge. The fridge was sitting at about 42F so I set the CO2 at 11 PSI and left it for this past Sunday (June 21, 2015). 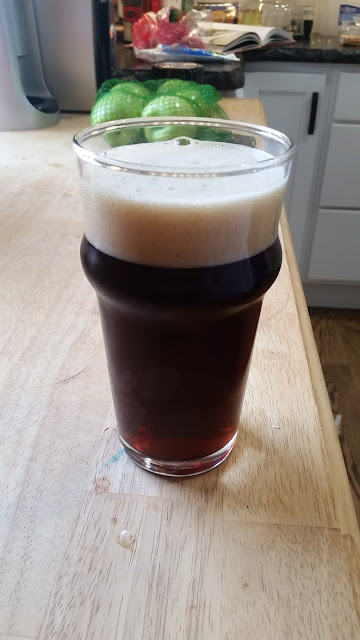 It was hot out and I was in the mood for a drink so I poured a glass a day earlier than I planned but, fortunately, it was fully carbonated and ready to go. The beer has a nice head but it doesn't keep it for long. It also has a pretty strong peanut butter aroma but a nice mild peanut butter flavor. In fact, the entire beer, with an IBU of 68, is really mild and smooth. 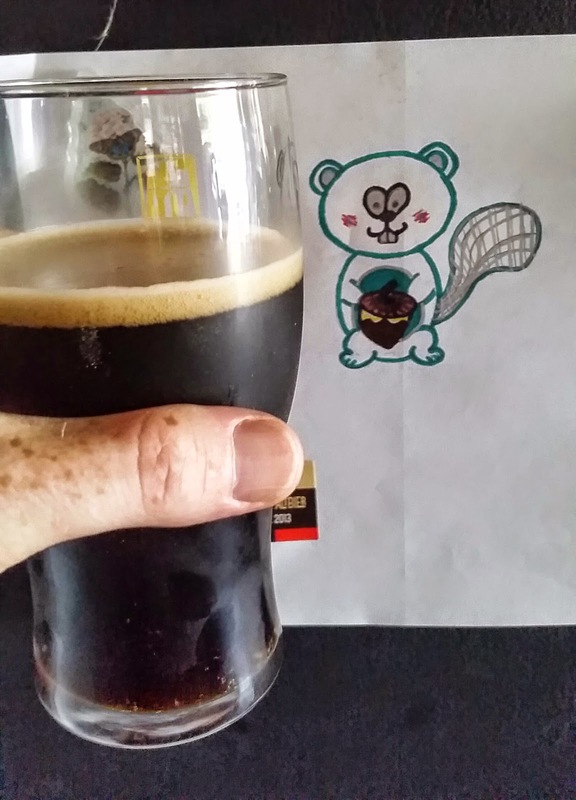 It has a bit of a watery mouthfeel for a stout but I found that to be refreshing in the summer heat so I don't mind. Overall I'm really happy with how it turned out and I can see myself making this kit again. My wife also really likes it so that gives me further motivation to keep this on the keg rotation.